You might have heard the Ibiza property market is moving fast these days. While that may be true and things are slightly more competitive then recent times there are still some much-coveted gems to be found. The three properties below are all unique, divine and luxurious having been very lovingly built or renovated to the current owners’ keen and specific eye for style. Tranquil, serene, warm and welcoming. This four-bedroom, three-bathroom villa is surrounded by lush countryside in the heart of the island. Within walking distance to thriving, bohemian village of Santa Gertrudis, this beautiful home is distributed over a main house and two guest apartments. 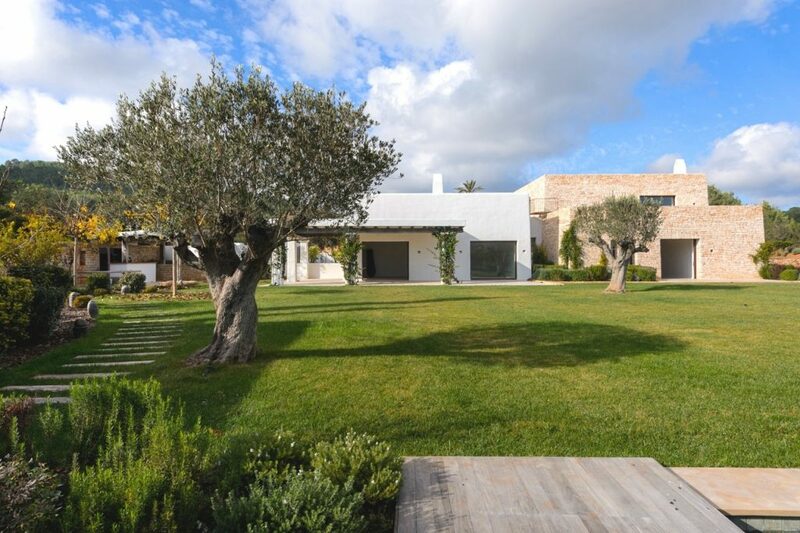 Contemporary with hints of traditional Ibicenco design coming through exposed beams, stone work and wood finishes, huge windows and glass doors throughout allow the golden Ibiza sun to stream through. Vast gardens, numerous private terraces and a gorgeous pool create opportunities for entertaining or long lazy days in the sun. Brand new and totally gorgeous, Finca Can Terra is a six-bedroom, six-bathroom beauty set amongst lush countryside between Santa Eulalia and San Carlos. The highest quality materials were employed to create this contemporary home that retains many traditional features. The main house features three spacious bedrooms while an independent guesthouse boasts two bedrooms, all with ensuites. Light-filled, capacious spaces are enhanced with wood finishes and state-of-the-art fixtures. Lush lawns surround the villa and pool where outdoor entertaining and chill out zones are plentiful. Absolutely nothing needs to be done to the magnificent five-bedroom, six-bathroom villa in the heart of bohemian San Juan. It has been so exquisitely designed you’ll want to move in straight away. Set over 30,000 square metres of lush country with sublime views of the sparkling Med, this contemporary home features private terraces, outdoor dining spaces and gardens filled with fragrant jasmine, figs, olive, almond and jacaranda trees to create a deeply romantic ambience.